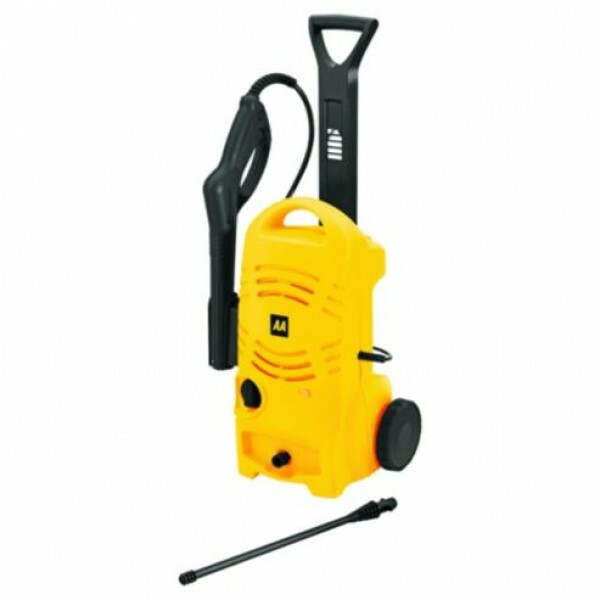 This AA HPW110 pressure washer is ideal for cleaning around your home and garden. The HPW100 is a lightweight yet powerful unit that delivers 110 maximum bar pressure with a 330L water flow per hour rate. With an ergonomic handle and an upright design for improved working posture, making the HPW110 easy and comfortable to use. It has a one-way lance for general cleaning, and an automatic stop/start trigger that stops the 1500W motor automatically once you release the trigger. There is a storage facility for the lance and trigger. This portable AA pressure washer comes with a 4m hose and has a detergent suction tube for the application of Kärcher detergents.